This shot depicts a view of the mainline looking east, just beyond the overpass is Albany union station, and behind the camera is central warehouse on Vic Roman’s HO-scale NYC layout. For a complete article on Vic’s modeling and layout, check out the 2nd Quarter 2014 edition of the NYCentral Modeler on this website. We want to have as many photos as possible of NYCS models and layouts from our members. We will publish any good photo sent to us, but we do need members to send the photos. Please send your photos to mailto:NYCSHS@verizon.net and we will post them here in this section of the website. Just send the pdf or jpg as an attachment to the email. The webmaster will make the decision about posting. Only good quality photos that depict accurate models will be posted. This shot is taken on NYCSHS President, Rich Stoving’s layout and depicts a long coal train with many of the NYCS hopper cars recently sold on the NYCSHS online store, “Collinwood Shop”. The train is westbound in the Hudson Highlands and is being pulled by Life Like ALCos that Rich has had since 1990. Still going strong. 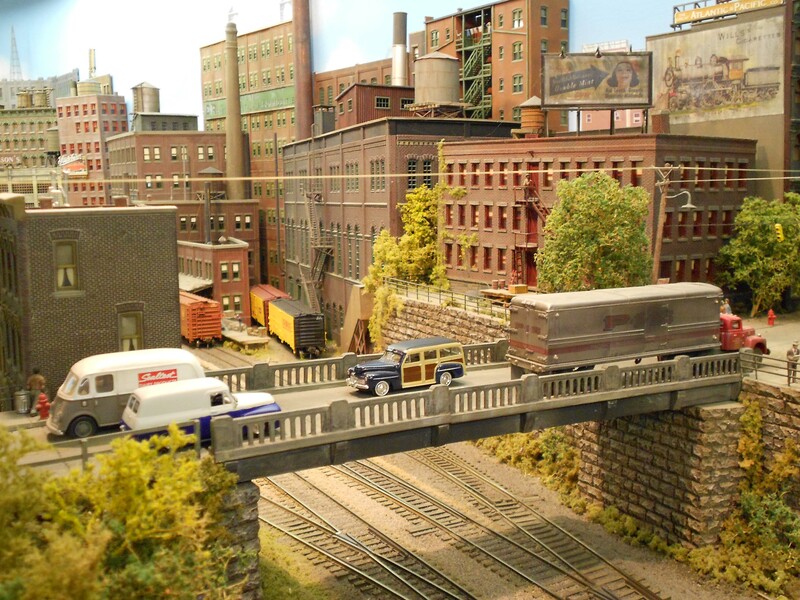 Rich’s HO-scale NYC layout was featured in the January 2014 Model Railroader. 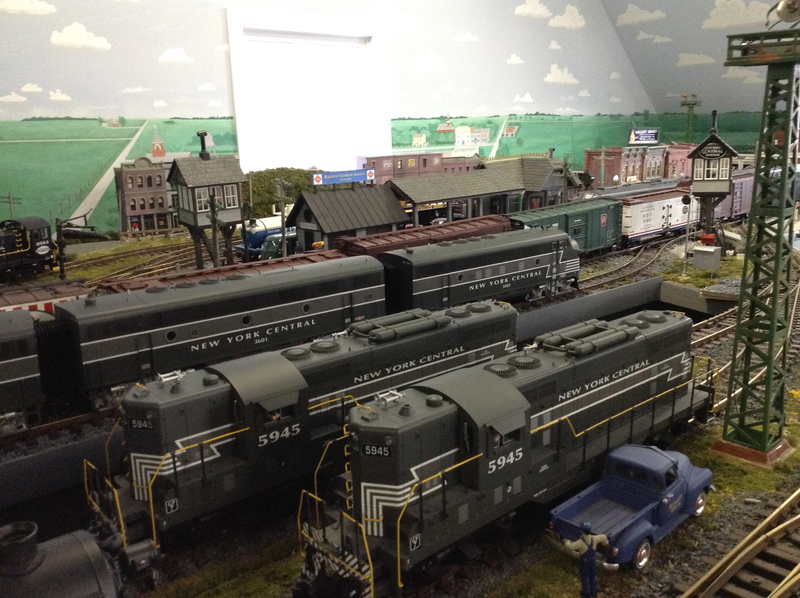 This is a photo of the Bellefontaine, OH, yards on NYCentral Modeler Editor, Noel Widdifield’s NYC Big Four modeled in 1/29-scale. His layout was featured in the Febuary 2011 Railroad Model Craftsman. It also was included in two article in the NYCSHS Central Headlight. Looking forward to seeing some of your photos featured here.